Chris Brown is speaking out in his new documentary, Welcome To My Life. This compelling one-night event moves beyond the spotlight and past the attention-grabbing headlines to give the pop superstar a chance to tell his own story. New interviews with international phenomenon reveal long-awaited answers about his passion for making music, his tumultuous and much publicized relationships, and the pitfalls of coming of age in the public eye. Also included is new concert footage, behind-the-scenes access, and special interviews from Usher, Jennifer Lopez, DJ Khaled, Mary J Blige, Mike Tyson, Rita Ora, Jamie Foxx, Terrence Jenkins and more. 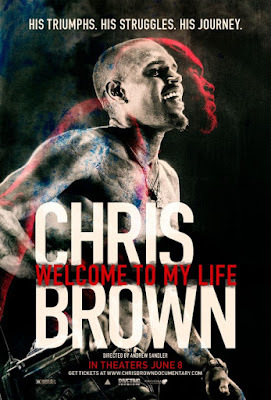 Chris Brown: Welcome To My Life is in Theaters on June 8th, 2017. Enter to win Passes at one of the follow theaters. Comment THEATER LOCATION below when finished. NO PURCHASE NECESSARY. Limit one (1) admit-two pass per person. Must be 13 years of age or older to win passes. Employees of all promotional partners and their agencies are not eligible. Void where prohibited. Entries must be received by 6/6 to be eligible to receive pass. Winners will be contacted via e-mail to receive their pass. SEATING IS LIMITED, SO ARRIVE EARLY. PASS DOES NOT GUARANTEE A SEAT AT THE SCREENING.